In the time that HH Piling Ellesmere Port have been in the piling industry, they have completed work for some of the largest commercial companies in the construction industry and have completed piling project for an uncountable number of homes. So it is safe to say that you can trust HH Piling Ellesmere Port to complete you piling project to a very high standard, whether it be a Sinking House, Commercial Building or New Housing Estate. HH Piling Ellesmere Port have the experience and ability to employ any piling technique to complete your piling project underpinning, mini piling, precast concrete piles, ground beams, retaining walls, heavy wall steel piles, top driven piles, bottom driven piles and excavations, all of which allow HH Piling Ellesmere Port to customise their piling skills in foundation to the requirements of their clients. HH Piling Ellesmere Port have multiple teams covering Ellesmere Port, Frodsham, Neston and the Northwest and apply their piling experience and skill set to any size project from Domestic House Piles to very large piling projects. 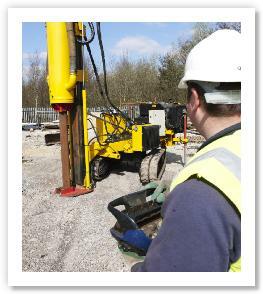 HH Piling Ellesmere Port have completed piling and underpinning projects for some of the largest names in construction. HH Piling Ellesmere Port offers a tailored piling strategy service that allows them to deliver the most suitable resolution for all your foundation and piling needs. A thorough service for engineered foundations can be given, from site investigation all the way through to design, piling & testing. HH Piling Ellesmere Port can work seamlessly with your Architects, Structural Engineers, Project Managers, Construction Workers, Foreman and Laborers to ensure that your project goes off without a hitch. For the right team for your piling Ellesmere Port project and Piling projects in the North West of England, give us a call on 07975 750 168 or fill in the attached form to get a free quote.